Ditch your cost estimating spreadsheets and start building a history you can use! Import template provided to make loading your data easy! New for 2019: Free data upload! Don’t waste another minute searching for information—each eTurboQuote estimate completed makes the next one easier! Start your FREE 60 Day Trial Today! "This is an intuitive, flexible price and quote development tool. I've seen it work and it is impressive!" 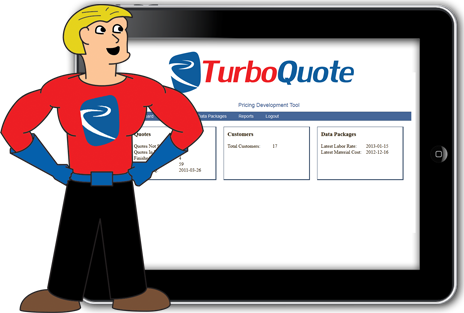 "The eTurboQuote team and their cost estimating solution has allowed us to gain a firm understanding of our complete manufacturing costs." J and J Industries Inc.
You can access your data whenever you have access to the web. Resource costs are separate from allocations, so updated estimates can be regenerated nearly effortlessly. Multiple team members can work on price models, saving effort and time spent wondering where the data went. Attach your files to the estimate. You won't be searching for documents because they will be kept with the estimate.